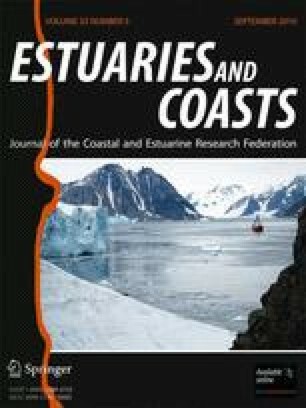 Can Plant Competition and Diversity Reduce the Growth and Survival of Exotic Phragmites australis Invading a Tidal Marsh? The rapid proliferation of Phragmites australis in North America has challenged resource managers to curb its expansion and reduce the loss of functional tidal marsh. We investigated whether native plant competition could reduce the ability of Phragmites to invade a tidal marsh, and if plant diversity (species richness, evenness, and composition) altered the competitive outcome. Immature Phragmites shoots and four native halophytes were transplanted to small but dense field plots (~1,200 shoots m−2) comprising three community structure types (Phragmites alone, Phragmites + 1 native species, and Phragmites + 4 native species). Interspecific competition significantly reduced Phragmites aboveground biomass, shoot length production, density, and survival by approximately 60%. Additionally, plots planted with greater native diversity contained Phragmites with the lowest growth and survival, potentially indicating diversity-enhanced resource competition. Competition consistently reduced the growth of Phragmites even under favorable conditions: lack of strong tidal flooding stresses as well as elevated nutrient pools. We thank Garrett Crow, Aaren Freeman, Thomas Lee, and Barrett Rock for their comments on previous drafts on this manuscript. We are also grateful to Jessica Devoid, Alyson Eberhardt, Joanne Glode, Gregg Moore, and Robert Vincent for their assistance in the field, and again Alyson Eberhardt and Paul Sokoloff for assistance with analyses. The manuscript was improved by the insightful comments by two anonymous reviewers and the associate editor, Dr. Morten Pedersen. Primary funding for this research was provided by the New Hampshire Coastal Program, Department of Environmental Services under NOAA grant nos. NA17FZ2603 and NA170Z1529, and by NOAA’s Restoration Center, grant no. NA05OAR4171149. Additional funding was provided by the New England Chapter of the Society of Wetland Scientists. Jackson Estuarine Laboratory contribution no. 494.